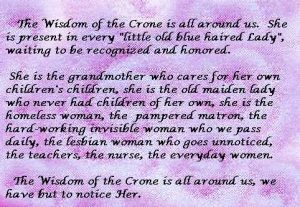 Fifty seems to be the age women become crones. It may have been an “over the hill marker” for our mothers generation. Today it’s more of a celebration. It’s a party time for some and a time for rituals and retreats for others. For me it was some of both, first by having professional glamour photos taken so that I could capture that moment in time when I still felt and looked vibrant. I had started doing retreats a few years earlier and that lead to other spiritual pursuits towards finding my center and my purpose. Even though we know not what lies ahead, I felt a shift occurring. Lifelong experiences brought a certain confidence that was becoming more pronounced, and also a new calmness. 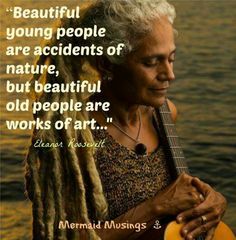 In the active years after fifty, personal wholeness and integration of all you have become starts to blossom in new creative ways. One friend found she could paint…..really well. Another became the centering influence in her family constellation. Native American traditions say a women becomes fully grown at age 52. By the time of retirement all sorts of new experiments are possible to explore. For me it was this blog. Into the third phase means to be a choice-maker. This is where what you choose to do or be must correspond with what is true for you at a soul level. What you do with your life is then meaningful. You will feel it in your bones, in your soul, at your core. 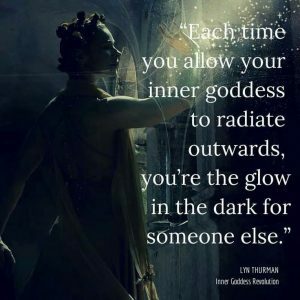 It is impossible for anyone else to know your truth or judge it since the same set of circumstances might fulfill one woman and constrict another. There are significant choice points in our lives when what we choose and who we become are linked. These are our moments of truth, our forks in the road. By fifty, hopefully, we’ve learned to trust our feelings to make the best choices. When you see yourself as a choice-maker, you take on the role of protagonist in your life story. You know that what you choose to do, or not to do, has an effect. You learn that when circumstances are unavoidable or even terrible, how you respond inwardly is a choice that may make all the difference. “A green and juicy crone has a life that is soul-satisfying.” Grace and serendipity have certainly showed up in my life, meaning balance has been maintained so that pursuits could be fulfilled. Very few of us live an unaltered life with the advances in medicine, like hormone therapy. This can speed up or delay the process of menopause, which affects body and soul. For me, it came early and set in motion a transformed new beginning. Instinctively, I started seriously doing retreats, found meaningful work and a much healthier lifestyle. I was being readied for the juicy part of croneness. No longer green. A beautiful phrase, by T.S. Elliot, is the life of significant soil. 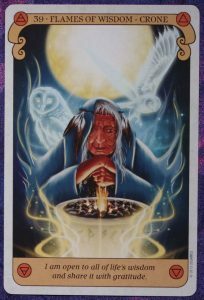 It was his poetic way of describing a meaningful life, one in which archetypal seeds become active and manifest through our inner spiritual and psychological life. A life of significant soil feels authentic, rooted in our own nature and in the seasons of our particular life. 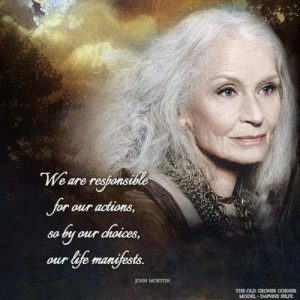 The crone archetypes bring us into the inner realm of meaning, help us see what matters, to be compassionate, decisive and, if need be, fierce when change is called for. They help us have a life of significant soil. Who refuses to surrender except to her truest self and to her wisest voice.Imagine a woman who names her own gods.